I am [the] HR business partner for a Russian team in [a] multinational world famous corporation. I support 150 employees in Russia. And this team is managed by a classical micro-manager from U.K. In this case the micro-manager thinks that he knows better from the U.K. how to get things done here in Russia. This micro-manager is the boss for our office for 7 years now. (I have joined the company 6 months ago.) If it were just micro-managing, it wouldn't matter. Russians are very patient people. But in the last 2 months he has become almost insane. He yells at subordinates during conference calls, literally bullies local team leaders and demands that I help him to fire the employees who said "no" to him 2 years back. The local team has very good working relationships and trust among the team members. They support the local team leader and are ready to follow him to another company. I as HR can't let this happen - I can't watch a micro-manager ruin the local team, which has had great performance for 15 years now under supervision of the one local team leader. And they are just great people and colleagues to work with. So I HAVE to help the team to get rid of this nasty micro-manager. I plan to start with a team climate survey - to have evidence that local team is OK and the local team leader is doing great and is supported by his team. But what to do next? I can't communicate the results to next level manager, because he is a C level employee for this world brand corporation. And I'm just a newly hired HR in a small office in Russia. I haven't yet built trusted relationships with U.S. HR colleagues to support me in this case. It feels like I have just one shot - if I miss either I will be fired, or I will harm the local team. So, what changed two months ago? Because figuring that out will tell you what you need to do differently. The biggest recent change is (and I hate to point this out), you. What are you doing that the previous HR manager didn't? And why did you make those changes? If you didn't make big changes, and you think this would have all happened regardless of who was sitting with the HR hat on, what change happened in the life of your micro-managing boss? Because people don't go from slightly annoying and overly involved to insane micro-manager without a reason. Are the numbers down at your site? What about at other sites? As a C level employee in a multinational firm, it's likely that he oversees more than one country. Have you spoken with your HR counterparts at these facilities? 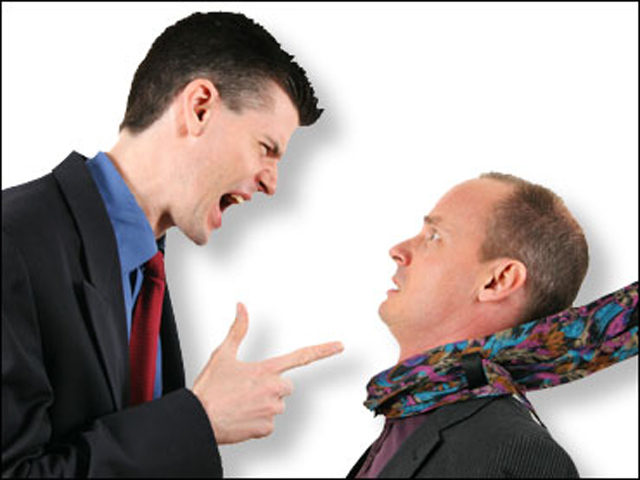 Are they finding the same problems you are, or is his vitriol directed only at your site? Are you aware of any big changes in the U.K. offices that could make him feel uneasy in his position? Is there some superstar that threatens to push him out of his role? Have you heard anything about family problems that may be causing him stress outside of the office? Along with the what has changed question, ask yourself what has not changed. You've had the same team at this site for 15 years. I don't know anything about Russian (of U.K.) employment, but in the U.S. that is extremely unusual. People don't generally stay that long unless there is no place better to go. Has your wonderful team become lazy or casual in their work? Remember, while everyone should always be nice, nice doesn't necessarily equal good or highly productive workers. Is this site resistant to change? Bob, I understand that while we're meeting our production targets, the facility in Bulgaria is outperforming us. I think we can get our team to produce to that level. If you could give us some guidance on what you'd like to see as our top priority, I'll make sure it's a facility wide focus. Bob, I've noticed that you've been very dissatisfied with the team leader lately. I am here to help you out. If you can let me know what areas you'd like to see him improve in, I can coach and help. Bob, something's changed in the last couple months and I don't know what it is. I'm here to help this facility be in line with global goals. Can you help me understand what you see the biggest problem is? And, if he says something horrible to you directly, you have to stand up to him. "Bob, you may not yell at me. I am happy to work with you to solve any problem that arises, but I will be treated with respect. We can either continue calmly or I will hang up." But, no matter how you proceed, figuring out what caused the big change is your first challenge.